Their first single by Feller and Hill for Rural Rhythm Records will be released in early July and the upcoming album titled “Brothers and Heroes” is scheduled for release this fall. It is no secret that one of Feller and Hill’s greatest influences is the music of The Boys from Indiana. A nationally touring act, The Boys from Indiana were the absolute kings of bluegrass in the Ohio-Kentucky-Indiana area, during the ’70s and ’80s. They were a hit at bluegrass festivals across the country, due to their robust stage presence and original songs. Their influence on Feller and Hill’s music should come as no surprise, as 60% of the classic lineup of “The Boys” (Aubrey Holt, Jerry Holt, Harley Gabbard, Paul Mullins, and Noah Crase) are related to Tom Feller (Aubrey and Jerry Holt are Tom’s uncles, and the late, Harley Gabbard was Tom’s great uncle). Feller and Hill’s stage show is very reminiscent of the Boys From Indiana, which include that same robust stage presence, their dry brand of humour and a very fast-paced show that proves to be a crowd favourite everywhere they go. In addition to his family’s musical heritage, Tom has worked with Jerry Williamson and Redwing, The Larry Stephenson Band, Rhonda Vincent and the Rage, and Three Fox Drive, during his 30-year career. Chris has worked with The Wildwood Valley Boys, Gerald Evans and Paradise, The Karl Shifflet and Big Country Show, and The James King Band. In 2015, both Tom and Chris have made separate appearances on the Grand Ole Opry filling guest spots with Bobby Osborne and Rocky Top Express. Feller and Hill will continue using their deep-rooted pedigrees in bluegrass and traditional music to grow their audience and deliver a high-energy show with rich vocals and smooth instrumentation at some of the largest festivals in the country. 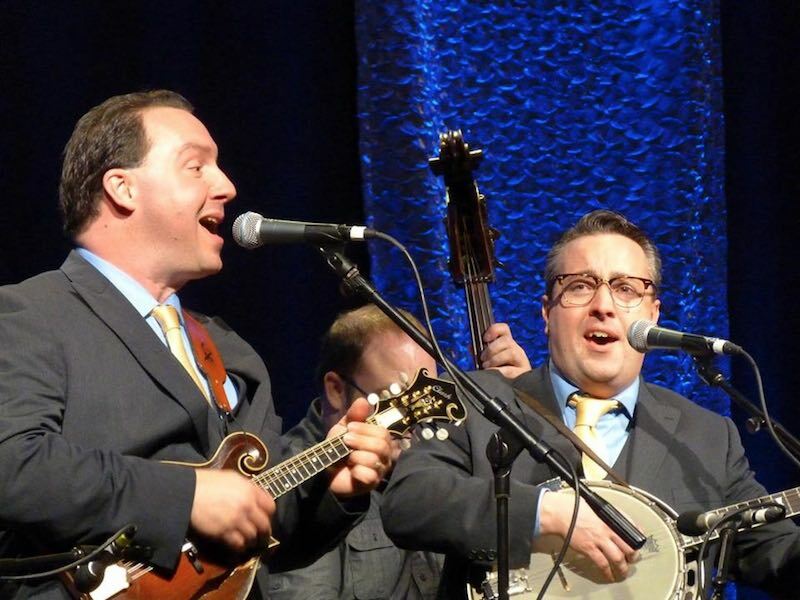 If you love traditional bluegrass, classic country, and southern bluegrass gospel music, then you’ll love Feller and Hill and the Bluegrass Buckaroos. Rural Rhythm Records has announced four new titles in its archival Heritage Collection Series. The Rural Rhythm Heritage Collection Series aims to keep traditional roots music alive and preserved for future generations. The series includes authentic Old-Time Country, Bluegrass, Folk, Country Waltzes, Fiddle Tunes and Gospel music performed by many legends & pioneers. Titles are mastered from the original master tapes, with original cover artwork and include many albums never-before available on CD. Since the initial release of the series in late 2013, nineteen titles have been released to date. These include titles by Mac Wiseman, Don Reno & Bill Harrell, Hylo Brown, Red Smiley, J.E. Masiner, Curly Fox, Dale Porter, Buck Ryan, Lee Moore, Raymond Fairchild and Jim Greer. 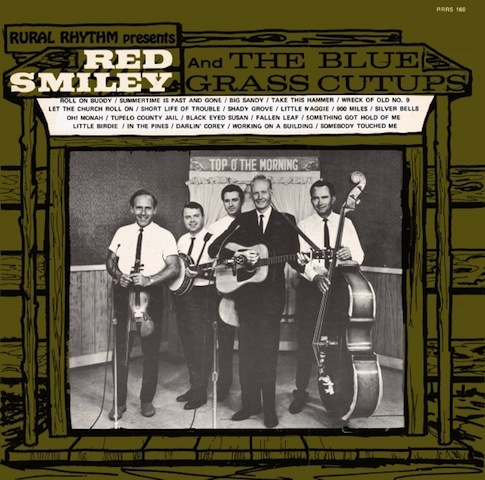 Jim Eanes with Red Smiley & The Bluegrass Cut-Ups – Jim Eanes with Red Smiley & The Bluegrass Cut-Ups. Earl Taylor & Jim McCall – Virginia-born mandolin player Earl Taylor, worked with many bluegrass giants over the course of a career that began in the 1940s. 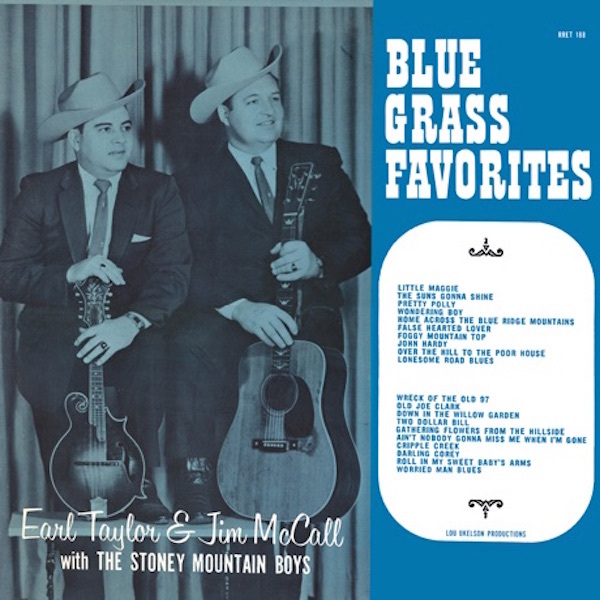 In 1967, he joined guitarist Jim McCall for a Rural Rhythm session along with his Stoney Mountain Boys that became a fan favourite titled Blue Grass Favourites. The album was produced by Lou Ukleson and included Earl Taylor (mandolin, vocals), Jim McCall (guitar, vocals), Vernon McIntyre, Jr. (banjo), Moon Mullins (fiddle) and “Boatwhistle” McIntyre (bass). Hylo Brown – Frank Brown earned the nickname “Hylo” because of his considerable vocal range that became his trademark. Born in 1922 in Johnson County, KY, which also became the birthplace of Loretta Lynn, Brown had thoroughly absorbed the music indigenous to his Appalachian home. 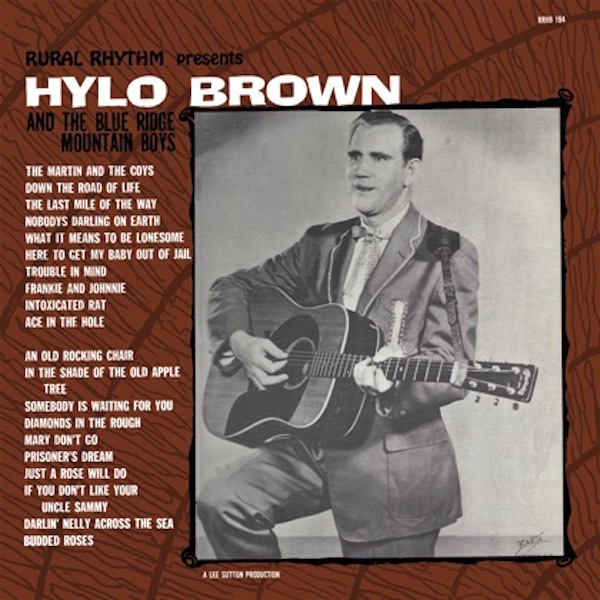 Hylo Brown recorded seven albums for Rural Rhythm Records in the late 60’s with Lee Sutton as producer. Available for the first time on CD, Hylo Brown & The Blue Ridge Mountain Boys was the fourth of the seven albums and was originally released in 1967. Jim Eanes – Eanes began his career in 1948 with Flatt & Scruggs, then Bill Monroe and the Blue Grass Boys. Starting his solo career in 1949, he had a hit record with “Baby Blue Eyes” on Capitol Records. He organised the Shenandoah Valley Boys in 1951 and recorded a few singles before signing with Decca Records. Decca groomed him to play country music and received good chart success with several singles. Eanes wrote many of his own songs including “Your Old Standby”, and one of his best “I Wouldn’t Change You If I Could,” which became a number one hit for Ricky Skaggs in 1982. During the ’60s, Jim Eanes was a D.J. on different Virginia radio stations and appeared regularly on WWVA’s Wheeling Jamboree. 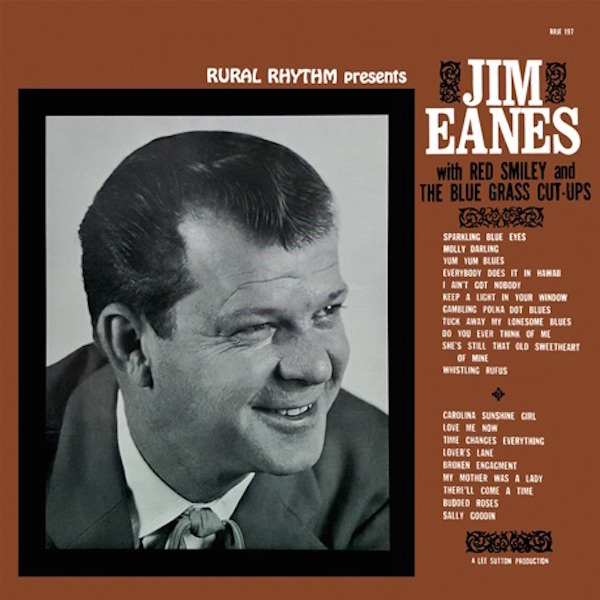 In 1968 Jim Eanes recorded his first of two albums for Rural Rhythm Records titled Jim Eanes with Red Smiley & The Bluegrass Cut-Ups. This 20 song album, produced by Lee Sutton, is available now for the first time on CD and features Red Smiley’s vocals and his Bluegrass Cut-Ups; Billy Edwards (banjo), Clarence “Tater” Tate (fiddle), Gene Burris (mandolin, Guitar), John Palmer (bass) and special guest Peggy Peterson (Dobro). His fine vocals and songwriting over the years earned Jim Eanes the universal nickname of The Bluegrass Balladeer. Earl Taylor & Jim McCall with The Stoney Mountain Boys – Blue Grass Favorites; Hylo Brown & The Blue Ridge Mountain Boys and Jim Eanes with Red Smiley & The Bluegrass Cut-Ups are now available to DJ’s on AirPlay Direct along with the other thirteen titles currently released in the Rural Rhythm Heritage Collection series. In addition, these three titles are now available on Amazon, iTunes and wherever digital and physical CD music is sold. Rural Rhythm Records released a long line of Old-Time Country; Bluegrass & Gospel albums during the label’s first two decades after Uncle Jim O’Neal started the label in 1955. Many of these vintage classic albums are still in Rural Rhythm’s active catalog available on CD and digital formats. Many songs are still available in the various artist collection titles found in the Sound Traditions series. Many tracks were previously released only on vinyl records and will come back to life through the Rural Rhythm Heritage Collection Series. In preparation for her second Bluegrass project, Tammy Jones Robinette has signed with Rural Rhythm Records. The deal comes on the heels of Tammy’s first Bluegrass release last year. Produced by Mark Fain (versatile bass player and longtime band member of Ricky Skaggs’ Kentucky Thunder), Let it Shine was warmly embraced by both Bluegrass and Gospel critics, earning three entries for consideration in the initial nomination process by the IBMA. Raised in Middlesboro, KY, smack dab in the middle of the Bible and Bluegrass belt, Tammy’s love for Bluegrass was nurtured right along with her faith. Her father played mandolin and was a huge Bluegrass fan. During her formative years, her home was filled with the music of artists like Bill Monroe, Lester Flatts & Earl Scruggs and Jim & Jesse, which had a huge influence on her music. Like all true Creatives, Tammy Jones Robinette has learned to trust her muse and fearlessly follows where it leads. Throughout the years, her love for Bluegrass was calling, but it wasn’t until recently that her muse finally demanded she honor these roots. Rather than viewing it as a risk to her already successful career, Tammy Jones Robinette sees it as not only an opportunity to spread her wings as an artist, but to introduce her legions of fans to Bluegrass. With that initial validation, Tammy Jones Robinette is now more confident than ever and currently putting the finishing touches on her second Bluegrass album, this time with the support of powerhouse Bluegrass label Rural Rhythm Records. Once again, she has partnered with Mark Fain to produce the upcoming project and has assembled a collection of superstar pickers for support: Mark Fain on bass, Aubrey Haynie on fiddle, Ron Block on banjo, Seth Taylor on rhythm guitar, Rob Ickes on dobro and the legendary Sam Bush on mandolin. Steve Gulley, The Whites, Jimmy Fortune and Dale Ann Bradley will provide supporting vocals. The album is due out this fall. 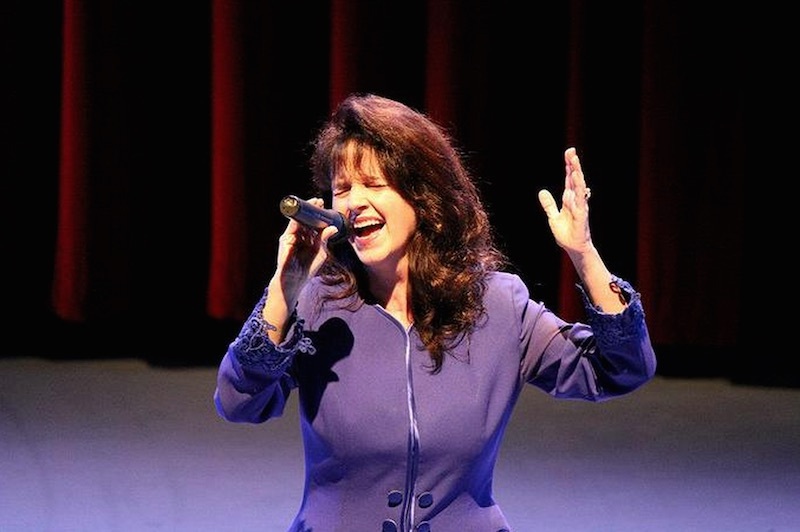 Tammy Jones Robinette has long been a force in Southern Gospel Music. She’s written top charting songs and has been awarded as the top female vocalist in Southern Gospel Music. I’m excited to see her embrace her love for bluegrass. Tammy Jones Robinette and Bluegrass music is a match made in heaven – Les Butler, Manager (Butler Music Group). Bluegrass fans can find out more about Tammy online at Tammy Jones Robinette &TheDrive.com. Rural Rhythm Records has released four new titles in its archival Heritage Collection Series. The Heritage Collection Series aims to keep traditional roots music alive and preserved for future generations. The series includes authentic Old-Time Country, Bluegrass, Folk, Country Waltzes, Fiddle Tunes and Gospel music performed by many legends & pioneers. Titles are mastered from the original master tapes, with original cover artwork and include many albums never-before available on CD. Since the initial release in late 2013, nineteen titles have been released to date in the Heritage Collection Series including titles by Mac Wiseman, Don Reno & Bill Harrell, Hylo Brown, Red Smiley, J.E. Mainer, Curley Fox, Dale Porter, Buck Ryan Lee Moore, Raymond Fairchi;d and Jim Greer. Rural Rhythm has now released four more titles in the Heritage Collection Series in both the physical CD and digital formats by Hylo Brown – Legends & Tall Tales; J.E. Mainer & The Mountaineers – The Legendary J.E. Mainer, Volume 4; Mac Martin & The Dixie Travelers – With The Travelin’ Blues and Mac Martin & The Dixie Travelers – Goin’ Down The Country. J.E. Mainer – Available for the first time on CD, The Legendary J.E. Mainer, Volume 4 features the 70 year old fiddler’s folk and hillbilly classics. J.E. Mainer recorded twenty albums for Rural Rhythm Records in the late 60’s and early 70’s with Lee Sutton as producer. The Legendary J.E. Mainer, Volume 4, was the fourth of these albums and was originally released in 1968. Mac Martin – With The Travelin’ Blues is the first album released by Mac Martin & The Dixie Travelers on Rural Rhythm Records released in 1968 and contains 20 Bluegrass Instrumental songs, many classics that feature Billy Bryant’s banjo playing and fiddle Master Mike Carson. Mac Martin – Goin’ Down The Country is the second album released by Mac Martin & The Dixie Travelers on Rural Rhythm Records. Released in 1969 it contains 20 Bluegrass classics featuring the unmistakable vocals by Bluegrass pioneer Mac Martin. Goin’ Down The Country contains real authentic traditional Bluegrass and is filled with classics songs that have been passed down through the years and performed by one of the top pioneer bands during the hey-day of the Golden Age of Bluegrass. 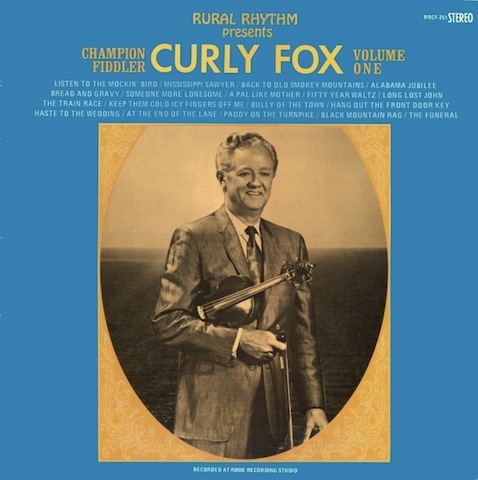 Rural Rhythm Records released a long line of Old-Time Country; Bluegrass & Gospel albums during the label’s first two decades after Uncle Jim O’Neal started the label in 1955. Many of these vintage classic albums are still in Rural Rhythm’s active catalog available on CD and digital formats. Many songs are still available in the various artist collection titles found in the Sound Tradition series. Many tracks were previously released only on vinyl records and will come back to life through the Rural Rhythm Heritage Collection Series. Rural Rhythm Records has announced a new archival digital download album series that will focus on classic album reissues and “best of” artist collections. The newly created Rural Roots Digital Series will help keep traditional roots music alive and preserved for future generations. Two titles from the new series now available, with many more planned throughout the year including classic recordings from Hylo Brown, Jim Eanes, Dale Potter, Lee Moore, Mac Martin, J.E. Mainer, Clarence “Hound Dog” Jackson and Jim Greer. This new Rural Roots Digital album archival download series will be available through Rural Rhythm’s digital distributor, eOne Distribution, and the releases will be available to buy through all digital sources including iTunes-Red Smiley, iTunes-Curly Fox, Amazon-Red Smiley, Amazon-Curly Fox, Google Play-Red Smiley, Google Play-Curly Fox and others. These two reissue titles by Red Smiley and Curly Fox are also available now on AirPlay Direct. Rural Rhythm Records has released a long line of Old-Time Country, Bluegrass & Gospel albums during the label’s first two decades after Uncle Jim O’Neal started the label in 1955. Many of these vintage classic albums are still in Rural Rhythm’s active catalog available on CD and digital formats. Many songs are still available in the various artist collection titles found in the Sound Traditions Series. Many tracks were previously released only on records and will come back to life through Rural Roots Digital. Many legends and pioneers released albums during this period including Mac Wiseman, Hylo Brown, Don Reno & Bill Harrell, Red Smiley, Jim Eanes, Vassar Clements, J.E. Mainer, Earl Taylor & Jim McCall, Raymond Fairchild and many more. Bringing the traditional “retro” vintage sounds from the past to the present in a convenient high-fidelity digital download format, Rural Roots Digital series preserves, protects, promotes and presents the ageless music of these artists for current and future generations to enjoy and appreciate using the technologies of the 21st Century. Now you can listen to these classics at home or on the go. Vintage music and systems are making a comeback as fans try to recapture the music experience created by the pioneers. This is a great opportunity for the fans and collectors, as well as educators and historians, to appreciate the music that started it all. Maintaining a level of “permanence” within the digital world is important. 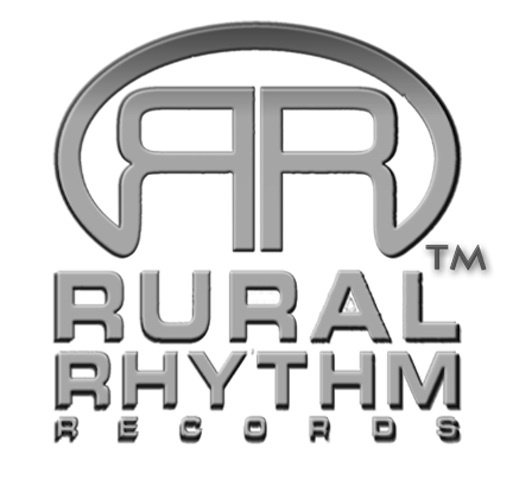 Rural Rhythm is doing a great service to our music with the new Rural Roots Digital series. Traditional roots music is in good caring hands and it’s out there to be heard and enjoyed.– Bob Cherry of Cybergrass. Rural Rhythm’s Sound Traditions collection titles have helped keep the traditional Bluegrass flame burning through the past several decades at the brick & mortar level. Now the new Rural Roots Digital series will continue the steady flow of available Old-Time Country, Bluegrass & Gospel titles culled from the treasure trove of masters in the Rural Rhythm Records vault. Rural Rhythm Records is saluting the 150th Anniversary of the Civil War (1861-1865) with an instrumental album titled Home Sweet Home, which contains 14 songs that were popular during the Civil War Era. Mike Scott (producer & performer) has assembled an all-star group of musicians to pay tribute to the popular parlor songs, minstrel songs and marching songs from this era, which are now known as traditional standards. Joining Scott on this album are awarding winning players Adam Steffey, Rob Ickes, Bryan Sutton, Aubrey Haynie, Tim Stafford, Mike Compton, Ben Isaacs, Jeff Taylor and Scott Miller. I am so excited about this Civil War Era project. My own banjo heritage traces back to both of my grandfathers. Also, my great-grandmother “Verdie” on my dad’s side played banjo and was born during the 1860’s Civil War period. I never had the opportunity to meet any of them, but I am proud to carry on the banjo legacy in our family . I dedicate this project to those who broke through the pages of our nation’s history and paved the way for a better America. I hope these tunes will touch you and give you a reminder of a period of time captivated as part of our nation’s journey to unity and freedom. May it bring you joy, put a smile on your face and put some ‘giddy-up’ in your step – Mike Scott. The songs on Home Sweet Home could be heard during the 1860’s in America’s major cities, small towns, rural areas and soldier encampments during the Civil War. 150 Years later, these American musical treasures can be enjoyed again on this special collection. These songs should not be lost and forgotten, but passed down to future generations as a part of America’s musical heritage. 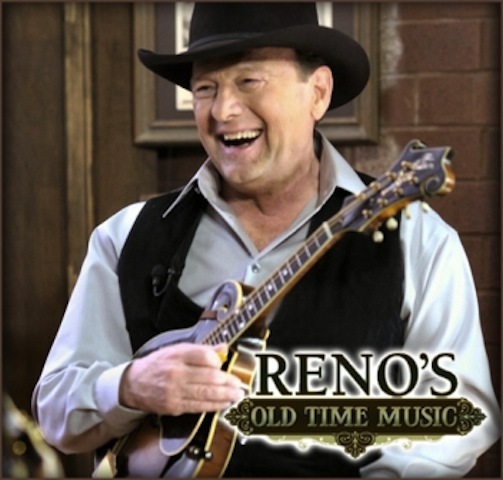 Mike Scott is seen by millions of TV viewers each week during prime-time on RFD-TV, (72 million households), performing with Ronnie Reno & Reno Tradition on the Reno’s Old Time Music Show. He also is the host of the new music TV series Behind The Dream airing on BlueHighways TV. Pre-sales for Home Sweet Home are now available on Amazon, iTunes, and Mikescottmusic.com. 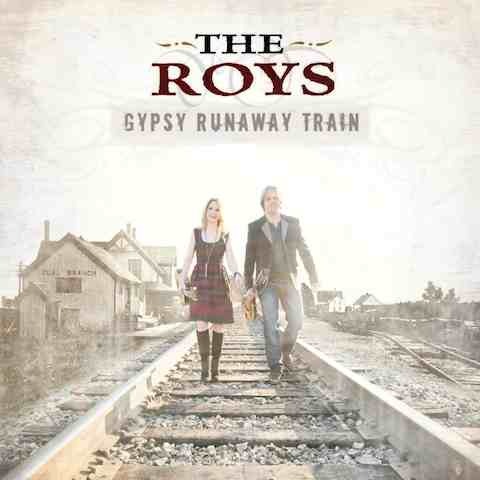 The Roys’ latest full-length release, Gypsy Runaway Train, puts the award-winning sibling duo on the fast track. Due in stores on 4th June this year, their third outing for Rural Rhythm Records contains six or their originals and some of their all-time favorite Bluegrass and Country classics. Hot vocals, steamin’ pickin’, unbridled enthusiasm and passion make this 13-track wonder a celebration of the Roots genre. There was a real sense of freedom surrounding this whole project. The album strips away all pretenses and gives the listener a glimpse of both the highs and lows of life – Elaine Roy. Bluegrass wouldn’t be Bluegrass without plenty of raw emotion, and Elaine delves deep on the extremely personal Half of Me, written about her recent divorce. Heart-wrenching vocals and moving lyrics offer a poignant look at the separation. Lee shines on the Gospel song He Took Your Place, a tune he’s been performing live for most of his professional career. Gypsy Runaway Train isn’t just about pain. The disc vibrates with positive thoughts and up-tempo energy on You Can Count On My Love, Born With A Hammer In My Hand, the Haggard classic Ramblin’ Fever, as well as the title track which celebrates The Roys’ fans and the road. The twosome brings exquisite harmonies to bear on a uniquely arranged rendition of Blue Moon Of Kentucky that will surely leave Mr. Bill Monroe smiling. After bursting onto the Bluegrass scene in 2011 with the Top 10 debut album Lonesome Whistle from Rural Rhythm Records The Roys followed with their sophomore project New Day Dawning in 2012. That landmark EP debuted at #2 on the Billboard Bluegrass Albums Chart, reached #1 on Amazon’s Bluegrass Best-Sellers list, and remains on Bluegrass Unlimited Magazine’s Top 15 Albums chart. Additionally, songs from the EP continue to dominate the weekly and monthly Top 20 Bluegrass Today charts. You can connect with The Roys at www.theroysonline.com, Facebook and Twitter. 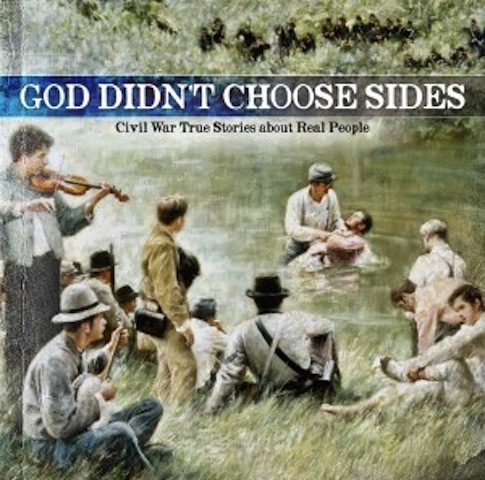 Rural Rhythm has announced the release of two New promo video for they latest offering God Didn’t Choose Sides: Civil War True Stories About Real People. The album contains stories about lost loved ones, acts of kindness, selflessness, faith family values and brotherhood. Rural Rhythm has pulled out all stops on this recording to feature a wealth of talent from their books to deliver a historical tribute to one of America’s most defining periods. Rural Rhythm has set up a dedicated site for the album that includes interviews, additional content relating to the history behind the songs, songwriters, performing artists and musicians. Please visit RuralRhythm.com for more information.